So my image today is mainly for the festive bokeh I got while taking it. 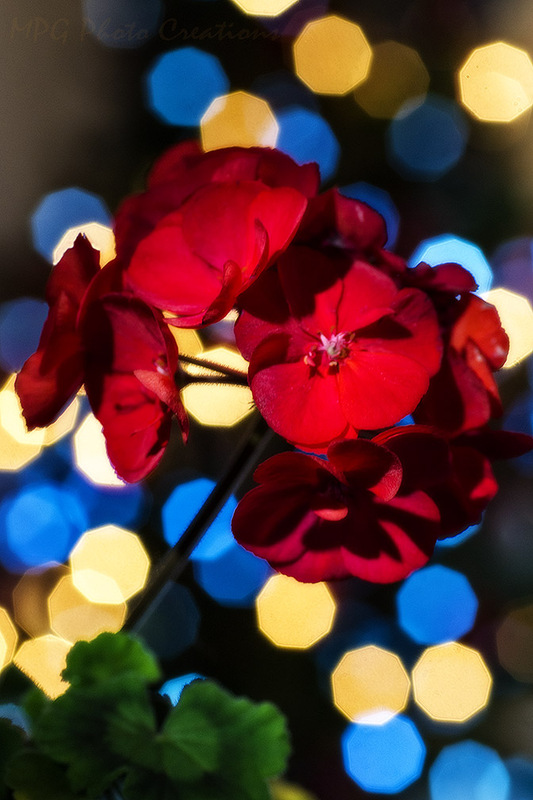 I have a Geranium that is an indoor plant and it is blooming right now so I shot a macro image of it in front of the Christmas tree. The blue-ish color comes from the LED lights and the gold comes from the regular string I have on it for some special light up ornaments. The shape is the result of the shutter's aperture when taking the photo.